Learn more about which apps can help you with translation emergencies. Today, you can easily find translation apps available at different app stores. However, the number of options can make it difficult for you to choose the best alternative when you have an urgent situation. You should have at least one of these apps installed on your phone. You may have to translate indication signs during a trip, a restaurant menu or even a word you are not familiar with. Learn more about the reliability of automatic translations, when they can be used and also five app suggestions that can be a live saver. Yes, but it depends on the situation. You can rely on automatic translation when your needs are simpler, such as unfamiliar terms or phrases or even an informal talk over the Internet. The same is not true for technical or professional needs, when the services of a professional translator are indispensible if you want the best results and a translation that is faithful to its original counterpart. With today’s technology, cell phones are full of apps for the most varied needs – from ordering food to paying bills or ordering a private car for commuting – and translation apps are also quite popular. People usually wonder if technological innovations will replace professional translation services and the answer is no. Translations made by human experts cannot be compared to algorithms and automated computer systems, despite the fact they might help. Also, you should select an effective, reliable app so that you can get the best results this technology can offer. 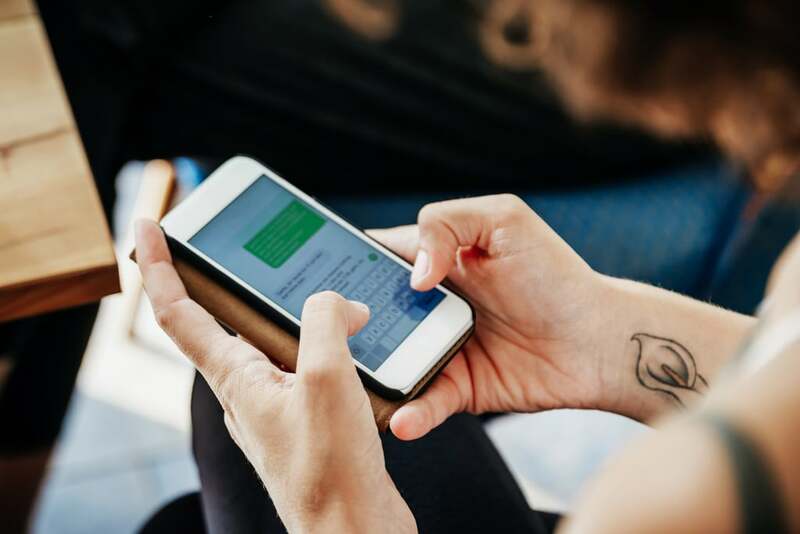 Some options are more popular than others, but despite the dangers of automatic translation, apps can still help you in emergency situations, from international trips to accidently running into a foreigner. Google Translate sits at the top of the list as you would already expect. According to the giant search engine, it translated 100 billion words per day in 2015, a number which is expected to be even higher today. When asked about the best translation apps, it’s very likely that people won’t be aware of too many other options (or no other option at all) besides the services provided by Google, best known for their quality. Nowadays, Google Translate can work with over 100 languages. It can also translate 37 languages using pictures, 32 using voice in the speech mode, and 27 using (real-time) videos, in the augmented reality mode. Google Neural Machine Translation (GNMT) is a quite intelligent algorithm and it gets better and better, it’s great for daily-life situations. Don’t forget to download it to your phone. Another interesting feature is that you can download languages and use it offline. This is quite helpful when you are travelling abroad, as you will be able to translate words without having to use the Internet. The app is available for Android, iOS and Amazon Fire OS. iTranslate is quite popular among translation apps, and this Google app has a wide presence. With user-friendly features, it can translate over 90 languages. The app can also translate offline and by speech, although these features require additional payment. The quality of translations is good and it’s an option if you want to use a service that is different from what you – and most of the people – are used to, without compromising quality and accuracy in informal situations. iTranslate app can be installed in Android and iOS. TripLingo has a very interesting approach and it’s a little different from other translation apps. It’s more directed to trips and goes way beyond than simply translating texts and audios. Once you open the app, you will notice it practically works like a travel assistant, with a 42-language library, being able to help you with local customs, etiquette and tips about different destinations around the world. It also features some ready-to-use sentences in case of emergency and health issues. This can make the difference when you are in trouble. Other app features include a phrasebook, with formal, casual and slang options in several languages, a Wi-Fi call dialer, learning tools, a tip calculator and other options to help you while you are away. TripLingo can be downloaded and installed in Android and iOS. Microsoft Translator might already be part of your routine in several ways, even if you are not aware of it or do not have the app on your phone. This is the translation technology used in Twitter, for example. The fact that this tool was chosen by the tweet social media tells a lot about its quality. It can help you with simple and practical daily needs, and it belongs to Microsoft, one of the world’s largest technology companies. Additionally, Microsoft Translator can be used to translate group conversations between devices by speech and text, being a helpful tool during business meetings. The app is available for Android, iOS, Windows Phone and Amazon Fire OS. Although not so popular and not widely used in the West, Waygo is indispensible for trips to the Asian content. Hanzi, Kanji and Hanja characters, used respectively in Chinese, Japanese and Korean, are accurately translated by the app. As these languages have a different alphabet, it would be extremely difficult to find keys in a phone virtual keyboard to type the words. That’s why Waygo is helpful. It can translate pictures saved on the phone gallery and make real-time translations using the camera. Another important feature is off-line translating. This is really helpful during a trip. Although it is not possible to compare an automatic translation with a translation made by a professional, you have to be prepared and equipped with the right translation apps. You never know when you might need them. Have the best translation apps on your cell phone and be prepared for any language-related situation. However, don’t forget the services of a translation agency are indispensible when you need professional and top-quality translation.